Thor and Loki aren't the most agreeable of brothers at the best of times, but they know how to get themselves out of sticky situations! (Or at least Thor does!) They will protect your keys with comedy and wit! This pinback button is 1.25". The vinyl sticker is 3" at the widest part and die cut, ready to stick. They're made from a durable, weatherproof vinyl that's great for indoor or outdoor use. 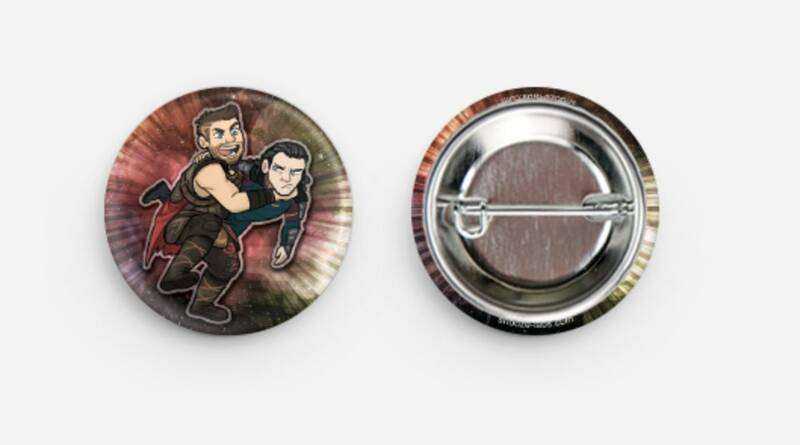 Really cute, high-quality pins--I got a bunch and I love all of them.